The best way to learn about natural beekeeping is to read and do. Read all you can about it. Read online, read books, and read articles. Then go out and put into practice what you have been learning. To help you, I have compiled my favorite beekeeping articles into a Natural Beekeeping Article Pack. 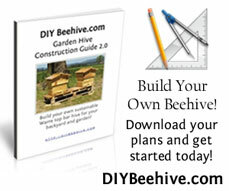 You can download it here: Natural Beekeeping. What will you find in this collection? I have compiled all the best articles into a handy ZIP file. You can download it here: http://warrebeekeeping.com on the natural beekeeping page. Don’t stop there! Keep reading online, check out books at your local library and browse through great beekeeping sites like http://biobees.com. Always have an open mind ready to learn more about the hive and the honeybee. The more you read, the more you will know. And every time you have learned something new about natural beekeeping, go out and practice what you have learned. There is no better teacher than personal experience. As Yoda might say: It is the true beekeeper who knows that the more he learns, the more he discovers how much he has left to learn. Happy Beekeeping, and may the Force of Learning Be With You! Disclamer: Nick Winters is neither a Star Wars fan nor a Trekkie. He just thinks it is fun to allude to pop culture now and then. This entry was posted in Free Downloads, Sustainable Beekeeping and tagged beekeeping information, HowTo, natural beekeeping, Top Bar Hive, Warre Hive. Bookmark the permalink. I’m going to be learning Warre concurrently with learning Langstroth. Voracious learner… Kind of interested in all styles, actually, even skeps (I’m told their not exactly legal here). Thanks for bringing all the info together! Thanks for the great information. I recently started a beekeeping hobby which I hope will develop into a full time business for me one day. Beekeeping can be a bit of a challenge to get started with unless you have a lot of quality information to help you quickly learn everything that you need to know. You should check out this site as it has a ton of articles on beekeeping. As the site is currently down, are you able/willing to email the zip file to interested folks (me)? You have an AMAZING site. I found it accidentally when about to order bee boxes and am now getting my husband to build the Warre ones instead. Thank you SO much for the wealth of information you provide here!!! One of my Warre colonies has taken to building their comb perpendicular to the top bars. Any suggestions for correcting this? I was thinking of turning the box 90 degrees and bottom-supering with another box with guide strips on the top bars. The top box will still have the crossed comb, but it’s going to ne the brood chamber any way. Any suggestions? I’m a newbee. Just starting with 2, self-built Warre hives. Should I start out the new bees in all 4 boxes or just 2? Also being an old lady, I can’t lift real heavy stuff,. You suggested that you just “Slip” and empty box on the bottom when the bees need more room. How is this done? Do you take them all apart and set them on the ground, or what? Do I have to build a jack or a fork lift?